I'm getting a lot of use out of our public library during this holiday season, both with books (did you see my Christmas reading recommendations? They're still good! It's only the 3rd day of Christmas, after all) and with DVDs. In anticipation of the new Girls Meets World series, my sister and I have been revisiting our youth and gradually rewatching Boy Meets World. Denise had a strong crush on Shawn, and I eventually had a crush on Shawn's older brother Jack in the later years of the show. And, of course, I wanted to be Topanga, because she was awesome. And really, in those pre-Hermione years, who among us didn't want to be Topanga? I'm enjoying this trip back to the characters' (and my own) childhoods, and can't wait to see them in their new roles as parents. I hope Disney doesn't screw this up. 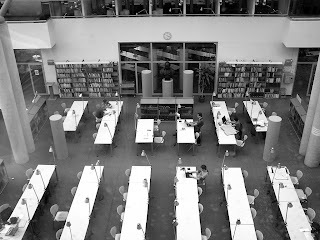 studying at my library. From mzacha on stock.xchng. I'd be in dire straights without my local library. That's where my reading and viewing material come from. It saves me from spending a lot of money on books and DVDs and from house getting (more) full of those same books and DVDs. Especially DVDs. I don't watch enough TV to need a DVD library, not when the city has one for me. I admit it's a bit of a downer when I want to watch something right now but have to wait a couple of days for it to arrive at the library, but I'm willing to live with that. If you aren't, there are other options-- Netflix, Hulu, Redbox-- that are easily accessible and will keep you from filling your house. And of course, I'd be remiss in my Green Friday posting if I didn't remind you that sharing materials with your entire community is a great way to make good use of resources, especially for something you don't necessarily need on hand all the time. And my final plug for the library: In this era when budget cuts are affecting all levels of government services, it's critical that the library proves its own usefulness to civic leaders. Please use your library to make sure that it continues to be available to use. What's your favourite thing about your local library? The next Walton on the list: Mary Ellen. Mary is the English form of Maria, which comes from the Hebrew Miryam. Behind the Name lists several possible meanings, including "rebelliousness", which kinda works for Mary Ellen Walton (as rebellious as a Walton gets, anyway), or "beloved", which is sweet and more like Mary Ingalls. Ellen is a form of Helen, which means "torch". Both names have fallen off in popularity as standalone names in recent years. Mary Ellen peaked in the 1940s, and not even a fun-loving Walton could save its freefall off the popular-name charts. Famous Mary Ellens: Mary Ellen Wilson, an abused child whose case led to many of today's child protection laws; a bunch of people I've never heard of, but that doesn't mean they aren't famous. 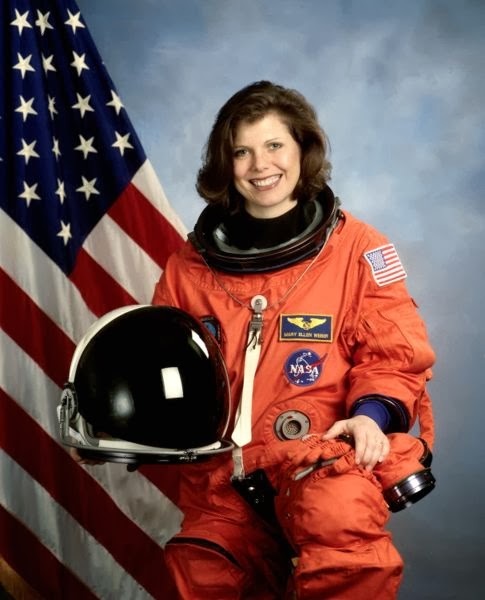 Fictional Mary Ellens: Mary Ellen Walton, naturally, although I think of her more as a childhood friend than a fictional character. My Mary Ellens: Believe it or not, I do know a Mary Ellen! She was a supervisor at a job many years ago, and if I may draw on the name's meaning-- yes, she was my beloved supervisor. (I don't know what I'll do if I ever get a job where I don't immediately love my supervisor six ways to Sunday.) The day she left was one of the saddest days of my life. I seriously cried at work for a week. I've never written a Mary Ellen, mostly because of that "Mary Ellen Walton was my best friend" thing. Do you know any Mary Ellens? 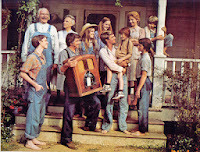 Were you as attached to the Walton family as I was? This pic is a few years old, but that's pretty much what it still looks like. You see, I used to have exactly that block of wood. It was the tree stand for this tree. At some point during one of my moves, the block of wood parted company with the rest of the tree. Goodness knows where it is now. This tree, as you've noticed, is not so big. The first year that I was away from my family for Christmas, I only got a two-week break to come home, and we had to be back on New Year's Eve. Since I was spending most of the holiday season not at home where the tree lived, my grandpa was a bit distressed and decided I needed a tree. He kept the top section of the "some assembly required" tree he and my grandma were tossing out that year, drilled a hole in a block of wood for a tree stand, and as the finishing touch, wrapped a few other wood scraps in wrapping paper to be the presents under the tree. (I still have them. They're under our tree right now.) Then he grabbed up a couple of old ornaments (I still have all of those, too), put the lot into a box, and presented it to me at Thanksgiving. Christmas tree kit, just add a space on an end table. The taller tree. Also from a few years ago. The fake presents are the stripey things at the bottom. My roommate and I loved it. Chadwick and I love it. Even though we now have too many ornaments for this tiny tree, and bought our own slightly-less-tiny three-foot tree about eight years ago, this tree still goes up every year. Even though I have to get creative about its stand. 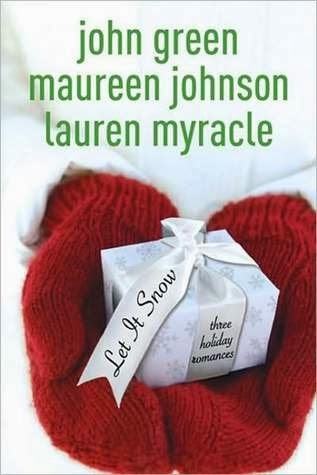 Just in case you're looking for some holiday reads, I decided to post my recommendations while you still have time to run to the library or bookstore before they shut it all down for Christmas. (I have four books on hold at the Austin library, and they're closed on Tuesday and Wednesday, so I have all my fingers crossed that my holds arrive by Monday evening.) And yes, these are (nearly) all Christmas books. 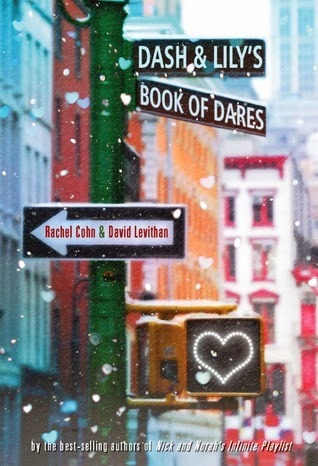 If you have a recommendation for good books for other winter holidays, I'm all ears! 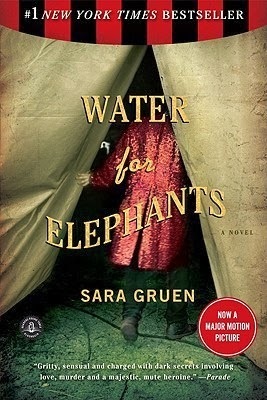 This is not technically a holiday book, but the first time I read it a few years ago was over the holidays, so that's the association I still have. 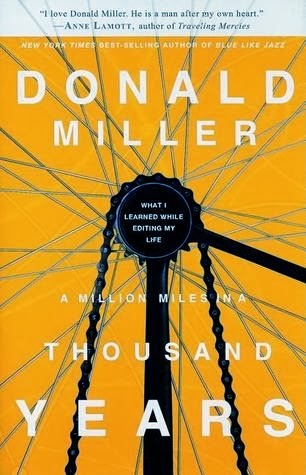 Great book, even if you aren't usually a Don Miller fan (I'm not). I picked this up at a used book sale a few years ago, and it turned out to be a great story. 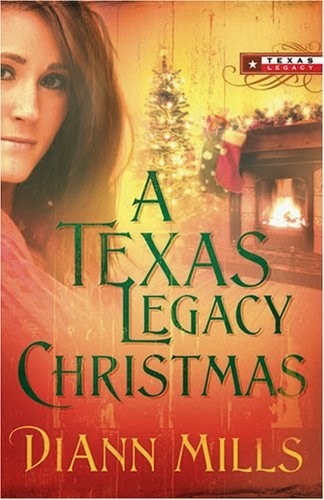 Unlike many books set in Texas, you don't have to be a Texan to enjoy it-- the setting doesn't really matter that much. If you've never read the original, do yourself a favour and pick it up. It's a short read and utterly brilliant. 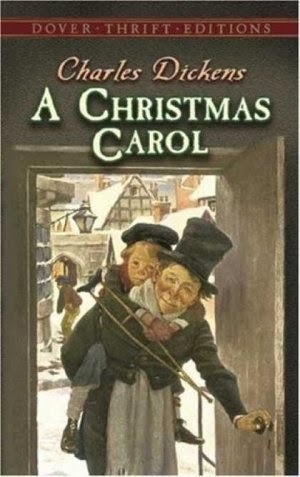 Incidentally, my favourite adaptations are Scrooge, with Albert Finney; A Christmas Carol, with Patrick Stewart; and The Muppet Christmas Carol, with the Muppets and Michael Caine. Read it, then watch all of those. There are a lot of things in this book that annoy me, but I recommend it all the same. 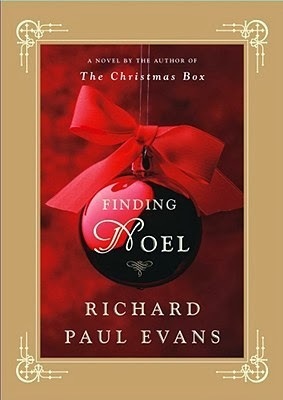 Mr. Evans has a whole bunch of holiday books out that are all feel-good, heartwarming, tearjerking tales, so just look for his name at the library. They're not all masterpieces, but what are the holidays without a cheesy story or two? A trilogy of intertwined short stories. I read this for the first time last year and it instantly earned a spot on my permanent holiday to-read list. It's short and beautiful. Why aren't you reading it yet? 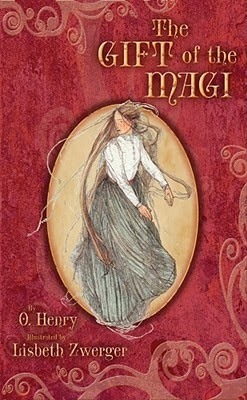 Love, love, love this book. 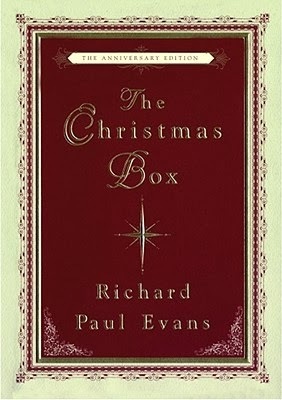 If you only have time for one Christmas book this year, make it this one. So, that's my list. What's on your list? Am I missing a good one? the picture. Anyway. I posted the pic there and then decided to post it here, too. There's a small solar powered charging station that moves around Austin. I've seen it in a few places, including at UT, and have used it a couple of times. To judge from some of the stickers on it, it may have started at South by Southwest at some point. This week, it landed at BikeTexas, where I work. It will be sitting in front of my office for a few months, ready to charge up laptops, iPods, phones, and even electric bikes (but not electric cars-- not enough amps, or something). I'm pretty excited about it. So, my plan to get the most out of this little venture is to go outside at least once a week to plug in my laptop or phone and enjoy the solar station for as long as we have it. Is there a solar charging station near you? Have you ever used anything solar powered? all look like in a mirror. Source. Still working my way through the entire Walton clan, but it's been a while, so I'll recap: We've talked about Zebulon (Grandpa Walton), Esther (Grandma Walton), skipped over John (Daddy Walton) since I did a Jonathan post a while back, Olivia (Mama Walton), and now I've skipped over John-Boy, also because of the Jonathan post, to bring us to my favourite Walton: Jason. From the Greek iasthti, meaning "to heal". Aww! How sweet. Currently #76 in the US for boys, but it was #2 in the '70s, and even got as high as #562 for girls in the US in the '70s. Good job, Jason Walton. It's currently #71 (for boys, not girls) in Ireland and #74 in Netherlands. Fictional Jasons: Jason Bourne (the Bourne trilogy; gosh, I love those movies, but have never read the books), Jason Gideon (Criminal Minds), Jason the Power Ranger, Jason Voorhees (Friday the 13th series). 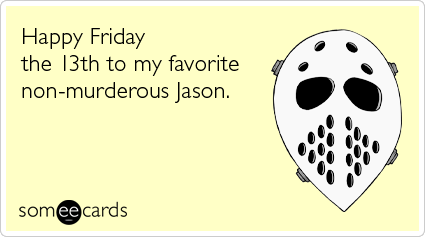 My Jasons: I discovered quite by accident last Friday (the 13th) that there are six Jasons on my Facebook friends list. And there are a bunch more who I'm not connected to on FB. (This probably has something to do with being born during the Jason boom of the 70s.) 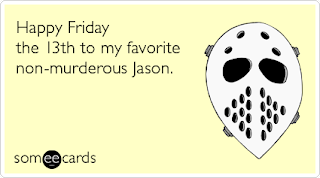 Most Jasons I know are lovely people who I'm happy to share the planet with, although there were a couple of less-lovely ones in high school. I have not yet written a Jason, but stay tuned. There's still time. Are you a Jason? Do you know any Jasons? 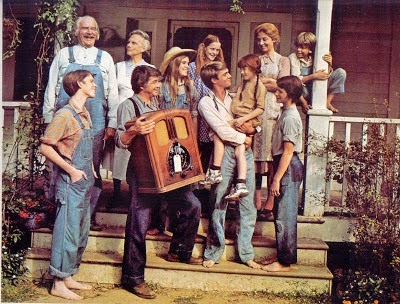 Do you think Jason was the best Walton ever? "Why does he want to say that so badly?" I ask. They turn in unison to stare at me. "Fair question," says Otis finally, although it's clear he thinks I'm brain-damaged. Yep, that's today. The charity answer to Black Friday, Small Business Saturday, and Cyber Monday. 2. Kicks off what many (most, I hope!) believe to be the true spirit of the holiday season-- giving instead of receiving. Please do share where you give in the comments (even if you aren't giving today!). Even better, use the hashtag #GivingTuesday all over the internet to encourage others to donate during the holidays.